5:15 p.m., April 18, 2013--Nolan Sandlin, the University of Delaware student who died April 13, is remembered by his professors as a caring, committed and inquisitive student. Mr. Sandlin, 20, of Dover, Del., was a junior majoring in criminal justice and a member of Lambda Chi Alpha fraternity at UD. "All of us in the campus community are deeply saddened by this young man's death," Dawn Thompson, dean of students and associate vice president for student life, said. "We extend our deepest condolences to Nolan's family and friends." Ivan Y. Sun, professor of sociology and criminal justice, was Mr. Sandlin's adviser. Recalling their first meeting last summer, he said, "We chatted more than half an hour about his course selection and career plan. Nolan was serious about his education and had great plans for future career." During the fall 2012 semester, Mr. Sandlin enrolled in Sun's undergraduate policing class. 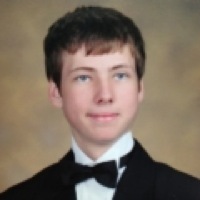 "Nolan was eager to learn and quickly became one of the leading students in class discussion by constantly asking pointed and often thought-provoking questions," Sun said. "Nolan often stayed after class to ask me more questions related to our earlier class discussion. I was highly impressed by his ability to synthesize a wide array of information and tackle critical issues. It was truly a pleasure to have Nolan in my class. "Nolan was a gentle, soft-spoken and easy-going young man, who was on his way to a bright future. I was fortunate to have Nolan as my advisee, and I regret that Nolan and I have not met this semester. His untimely departure is clearly is big loss to our community. My deepest condolences go to his family," he said. Ronet Bachman, professor of sociology and criminal justice, said, "I am very sad about Nolan's death; he told me that his brother had died and that he was committed to making a difference in the world to honor his brother. He worked very hard and I truly believe the world has lost a very wise, caring and honorable young man, which is extremely sad for us all." "Nolan was one of my favorite students in 25 years of teaching," said Cynthia Robbins, professor of sociology and criminal justice. "He was a kind and inquisitive young man who made positive contributions to class discussion and asked really great questions in our juvenile justice class. We will miss him." According to his family, Mr. Sandlin loved attending the University of Delaware, where he made many friends. He enjoyed the academic atmosphere and spoke highly of the faculty. Mr. Sandlin was born on Aug. 20, 1992, in Monterey, Calif. He attended Holy Cross Elementary School in Dover and graduated from Polytech High School in Woodside, Del. He was predeceased by his brother, Colin, who died in 2010. Mr. Sandlin is survived by his mother and father, Sylvia and Russ Sandlin; his maternal grandparents, Cyril and Noreen Maher of Dover; his paternal grandparents, Fran and Roger Sandlin of Richmond, Ind. ; his aunts and uncles, Peggy Maher-Daniels and Mark Daniels, of Bear, Del. ; Caroline and Joe Romanko of Medford, N.J., Noreen and Dr. Bryan Kurland of Ft. Myers, Fla., Karen and Scott Silverman of Dresden, Maine, along with his cousins, Patrick and Neil Daniels, Michael, Joseph and Sabrina Romanko, Cyril, Fiona and Coco Kurland, and Larkin and Amanda Silverman. Funeral services will be private. Letters of condolence can be forwarded to Trader Funeral Home, 12 Lotus St., Dover, DE 19901. Students in need of support or assistance may visit the Center for Counseling and Student Development at the Perkins Student Center from 8 a.m.-5 p.m., weekdays, or visit the Office of the Dean of Students in 101 Hullihen Hall.